HOW TO USE: Read the Patient Information Leaflet provided by your pharmacist before you start taking divalproex sodium and each time you get a refill. If you have any questions, consult your doctor or pharmacist. 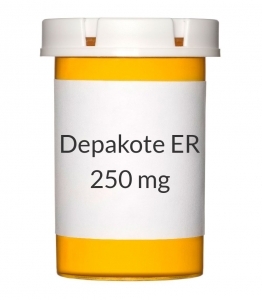 Take this medication by mouth once daily or as directed by your doctor. You may take it with food if stomach upset occurs. Do not crush or chew extended-release tablets. Doing so can release all of the drug at once, increasing the risk of side effects. Also, do not split the tablets unless they have a score line and your doctor or pharmacist tells you to do so. Swallow the whole or split tablet without crushing or chewing. Dosage is based on your weight, medical condition, and response to therapy. Use this medication regularly in order to get the most benefit from it. Remember to use it at the same time each day to keep the amount of medication in your blood constant. If this medication is used for seizures, do not stop taking it without consulting your doctor. Your condition may become worse if the drug is suddenly stopped. Your dose may need to be gradually decreased. Divalproex sodium does not relieve acute migraine headaches. Take other medications as directed by your doctor for acute attacks. Inform your doctor if your condition does not improve. SIDE EFFECTS: See also Warning section. Diarrhea, dizziness, drowsiness, hair loss, blurred/double vision, change in menstrual periods, ringing in the ears, shakiness (tremor), unsteadiness, weight changes may occur. If any of these effects persist or worsen, notify your doctor or pharmacist promptly. Remember that your doctor has prescribed this medication because he or she has judged that the benefit to you is greater than the risk of side effects. Many people using this medication do not have serious side effects. Tell your doctor immediately if any of these serious side effects occur: signs of infection (e.g., fever, persistent sore throat). Tell your doctor immediately if any of these unlikely but serious side effects occur: chest pain, easy bruising/unexplained bleeding, fast/irregular heartbeat, swelling of hands/feet, uncontrolled eye movement (nystagmus). A small number of people who take anticonvulsants for any condition (such as seizure, bipolar disorder, pain) may experience depression, suicidal thoughts/attempts, or other mental/mood problems. Tell your doctor immediately if you or your family/caregiver notice any unusual/sudden changes in your mood, thoughts, or behavior including signs of depression, suicidal thoughts/attempts, thoughts about harming yourself. Tell your doctor immediately if any of these highly unlikely but very serious side effects occur: dark urine, persistent nausea/vomiting, severe stomach/abdominal pain, yellowing eyes or skin. Severe (sometimes fatal) brain disorder (encephalopathy) has rarely occurred, particularly in patients with certain metabolic disorders (urea cycle disorders). Tell your doctor immediately if you develop unexplained weakness and vomiting or sudden mental changes. A serious allergic reaction to this drug is unlikely, but seek immediate medical attention if it occurs. Symptoms of a serious allergic reaction include: rash, itching/swelling (especially of the face/tongue/throat), severe dizziness, trouble breathing. This is not a complete list of possible side effects. If you notice other effects not listed above, contact your doctor or pharmacist. In the US - Call your doctor for medical advice about side effects. You may report side effects to FDA at 1-800-FDA-1088. In Canada - Call your doctor for medical advice about side effects. You may report side effects to Health Canada at 1-866-234-2345.